Apple claims Samsung’s Galaxy line of mobile phones and tablets “slavishly" copied its iPhone and iPad and has launched an international legal battle which is expected to hurt growth at one of the South Korean firm’s fastest-growing businesses. Samsung has rejected the accusations and has shot back with claims of its own. The Galaxy gadgets, powered by Google’s Android operating system, are seen as the biggest challengers to Apple’s mobile devices. Apple has already secured a block on the latest Galaxy tablets in Germany and some Samsung smartphone models in the Netherlands. A win in Australia could hurt Samsung’s bid to close the gap with Apple in the global tablet market, with another high-stakes ruling expected from a US court next week. But Apple told the Federal Court in Sydney on Tuesday that Samsung’s proposal provided no basis for a settlement. “It is one we don’t accept and there is no surprise. 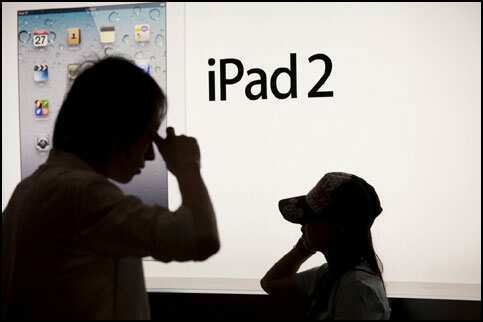 The main reason we are here is to prevent the launch and maintain the status quo," Apple lawyer Steven Burley said. He said Samsung should anyway agree to an expedited court process, not impose conditions on its cooperation to that end. “The decision as to not being available to conduct an early final hearing is no more than a tactical one -- a tactical one which is designed to maximize the chances of Samsung launching what we would submit is an infringing product," Burley said. Samsung suggested to the court that the prospects of an immediate settlement were now bleak. “It is not going to be achievable your honour, given the positions advanced by each party," a Samsung lawyer said. Samsung had hoped to launch the new Galaxy tablet in Australia in late August or early September but this has been repeatedly delayed as it awaits the Australian court’s ruling. Last week, Samsung agreed to withdraw two features from the Galaxy 10.1, leaving just one disputed Apple patent over touch-screen display technology. This patent deals with how finger movements are used on tablets to generate a software command. Samsung and Apple are suing each other in nine countries over 20 cases, with few of them holding as much significance as the California court ruling expected next week. Samsung may seek legal measures to ban sales of Apple’s new iPhone, a source familiar with the matter has told Reuters. The highly anticipated iPhone 5 is to be unveiled later on Tuesday. Apple fired its first salvo in April by suing Samsung in California, saying the Galaxy lineup devices infringed on its mobile technology patents and design. Samsung’s smartphone business has been growing furiously, powered by its flagship Galaxy lineups. Some analysts expect Samsung to overtake Apple in unit terms as the world’s No.1 smartphone vendor and report record profits from mobile business in July-September. Samsung, due to report its third-quarter earnings guidance later this week, saw smartphone sales soar more than 500% in the second quarter, easily eclipsing Apple’s 142% growth, though Apple sold about 1 million more units.